For additional information, please see the Department's News Release. 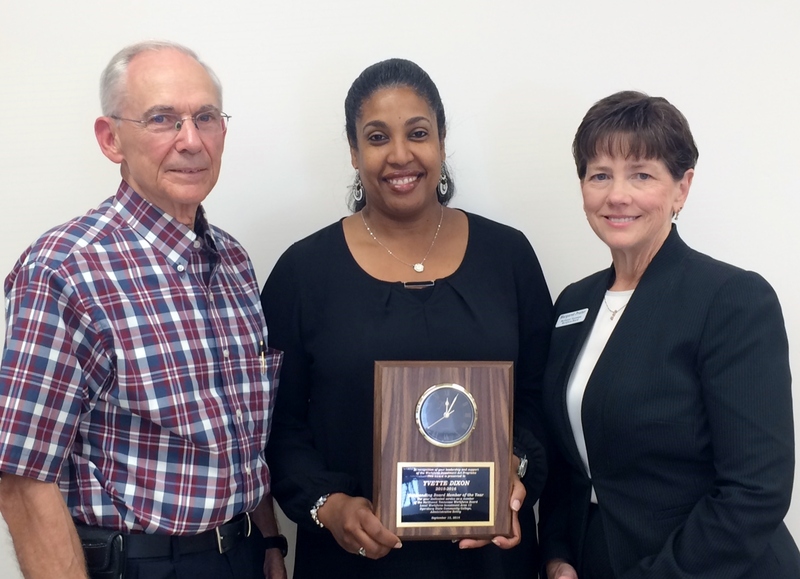 At the Annual Meeting of the Northwest Tennessee Workforce Board, held September 13, 2016, Chairman Jimmy Williamson and Vice President for Workforce Development Margaret Prater recognized Yvette Dixon, Adult Education West Tennessee Representative, as the 2016 Board Member of the Year. Nominated and elected by the staff to the Board, Dixon was recognized for her leadership and dedicated service in support of the Board and the American Job Centers. “Yvette has been a tremendous asset to the Board” states Prater. “We know we can always count on her to serve in any capacity needed.” Dixon has served as a member of the Northwest Tennessee Workforce Board since 2013 and has served on the Career Center Services Committee since the fall of 2015. She has over 15 years of experience in providing Adult Education services in Northwest Tennessee. Beginning in the fall of 2014, under the leadership of each County’s Mayor, and Margaret Prater, Vice President for Workforce Development for the Northwest Tennessee Workforce Board, each county in the region formed workforce development committees to launch the ACT® Work Ready Communities initiative, a workforce system designed to assist sites and regions in developing their workforce pipeline to provide skilled workers for employers, via job profiling and the National Career Readiness Certificate™ (NCRC). Two counties, Dyer and Lake, were recognized at the 2015 ACT® Workforce Symposium for completing all of their goals and achieving Certified Work Ready Communities status. This year, the counties of Benton, Crockett, Henry, Lauderdale, and Obion will receive certification at the 2016 ACT® Workforce Symposium in Nashville, TN. Gibson County, under the leadership of Mayor Tom Witherspoon, has since reached 100% of its goals, earning 1,994 NCRCs, and will be recognized at the 2017 Symposium. The remaining counties in the region anticipate achieving certification in the coming months, with Carroll County having met 93% of their goals, Tipton County having met 95% of their goals, and Weakley County having met 79% of their goals. 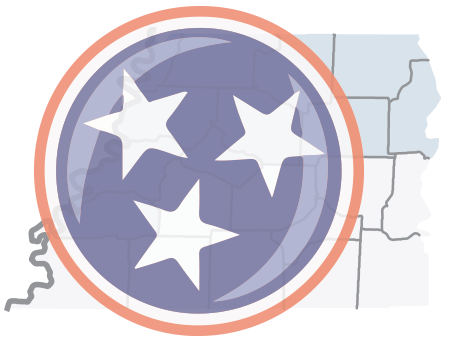 Read more about the northwest Tennessee Work Ready Communities initiative, or check your county’s progress toward meeting their Work Ready Communities goals. Memphis Bioworks Foundation was recently awarded a nearly $4 million grant from the U.S. Department of Labor as part of its Strengthening Working Families Initiative. In the Memphis region, the funding will be used to facilitate short-term job training, coaching, and job placement for unemployed or underemployed parents in Fayette, Lauderdale, Shelby, and Tipton Counties. The Northwest TN Workforce Board is a collaborating partner in Lauderdale and Tipton counties. This program will include supportive services, including funding for and access to child care resources and transportation assistance. “This grant enables a comprehensive workforce development approach to connecting parents in our region to new skills and new job opportunities while also providing support for their families,” said Steve Bares, PhD, president and executive director of Memphis Bioworks Foundation. Training will be targeted in advanced manufacturing, health care and information technology careers. The program’s goals are to provide grant-funded services and education/training to more than 500 participants by June 2020. In addition, Memphis Bioworks will consult with the Employer Advisory Council it manages for insight and input on job training curricula, industry trends, essential skills training, and employment opportunities. The Dyer County Sheriff’s Department will establish programs and deliver services at the Dyer County Correctional Work Center to establish a specialized American Job Center/TN Career Center to provide basic and individualized career services to a minimum of 25 inmates to facilitate job placement and retention upon release. The Northwest TN Workforce Board in Local Workforce Development Area 12 has developed a partnership with the Dyer County Sheriff’s Office to establish a “specialized” TN Career Center on the campus of the Dyer County Correctional Work Center (DCCWC). The 30-bed inmate correctional center opened summer of 2015, providing counseling on relapse prevention, drug and alcohol education and socialization to its male population. A lengthy assessment is given to each inmate prior to be referred from the general population jail facility to the DCCWC, which is a State approved mental health counseling center. The goal of the new Jail2Job program is that by the time inmates are released, they will owe no fines, have a valid driver’s license, be drug free and have a job. NASHVILLE - Tennessee Department of Labor & Workforce Development Commissioner Burns Phillips announced that Marvin Windows and Doors of Tennessee located in Ripley was chosen to receive the Volunteer STAR (Safety Through Accountability and Recognition) award. The Volunteer STAR award is the state’s highest honor for workplace safety and health and a nationally recognized program. The Volunteer STAR is patterned after the OSHA Voluntary Protection Program (VPP) and recognizes the best of the best in the area of safety and health programming and performance.